Ready to UP Your Game? 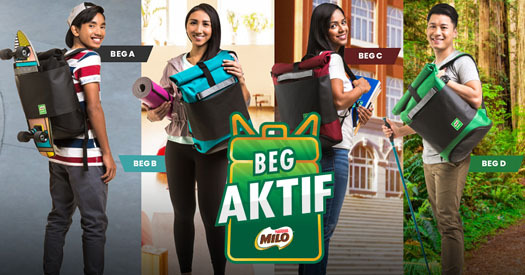 Select any challenge from 5 of our MILO Sports Personalities and stand to win prizes worth up to RM60,000. Join the challenge now! 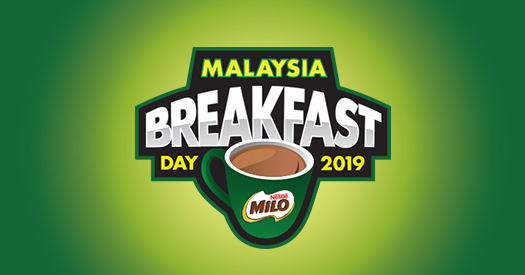 MILO® Malaysia Breakfast Day returns with more fun and excitement! Comes with 4 designs and suitable for multiple occasions. Collect points and redeem them today! 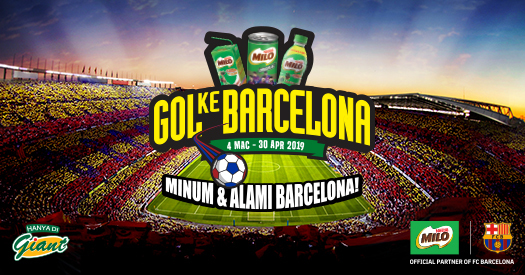 Buy MILO® ready-to-drink products at Giant and stand a chance to visit Camp Nou, Barcelona with your family! 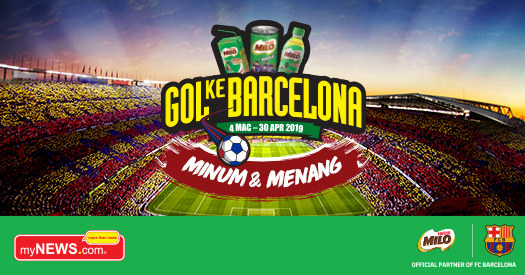 Win a trip to Barcelona for 2 when you buy any MILO® ready-to-drink at myNEWS! Join now! 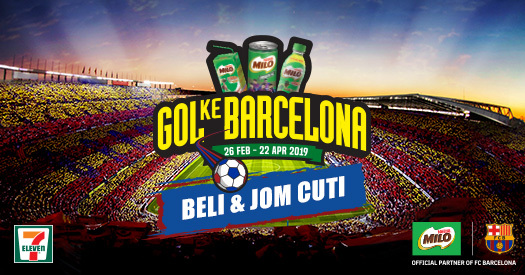 Buy MILO ® Ready-to-Drink products at 7-Eleven & stand a chance to win a trip to Barcelona! 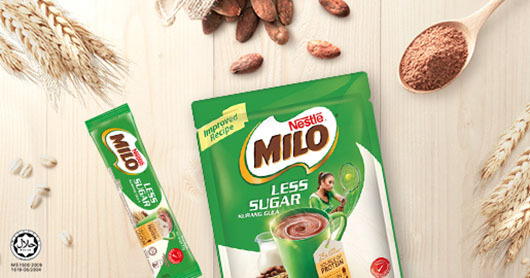 Introducing the new and improved MILO® Less Sugar. 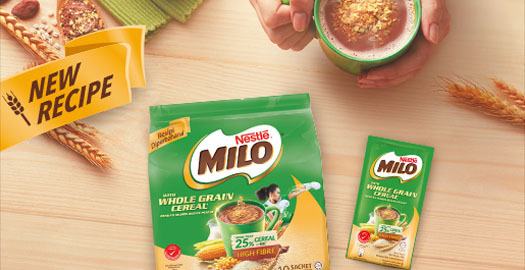 It has 25% less sugar than regular MILO®! 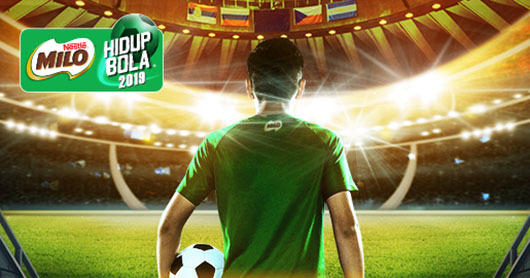 MILO Hidup Bola just got a whole lot bigger and better in 2019 involving the U-12 and U-16 to compete at a higher level. Is your child eager to learn a new sport? 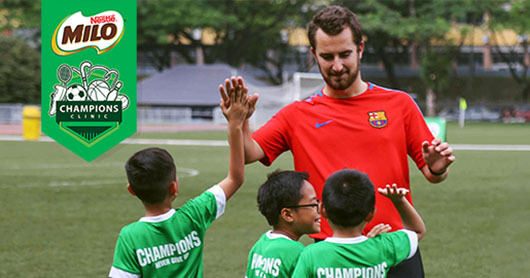 Sign them up for one of our sports clinics conducted by professional coaches today!